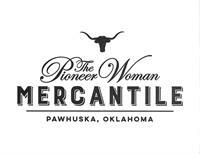 Our Day Tour to Pawhuska will include time for shopping and visit the Mercantile. We get to enjoy Lunch at Ree Drummonds restaurant (included in our price) - with no waiting in line. Plus if the Lodge is open, we'll have an opportunity to visit the Lodge where they film her show "The Pioneer Woman". Travel from Joplin/Neosho via Viking Trailways motor coach; plenty of time for shopping and fun. Trip cost includes transportation, lunch, time for shopping and lodge visit. Call Shana at 417-451-5468 to join our trip. This Neosho Area Chamber Marketplace is promoted by Neosho Area Chamber of Commerce.